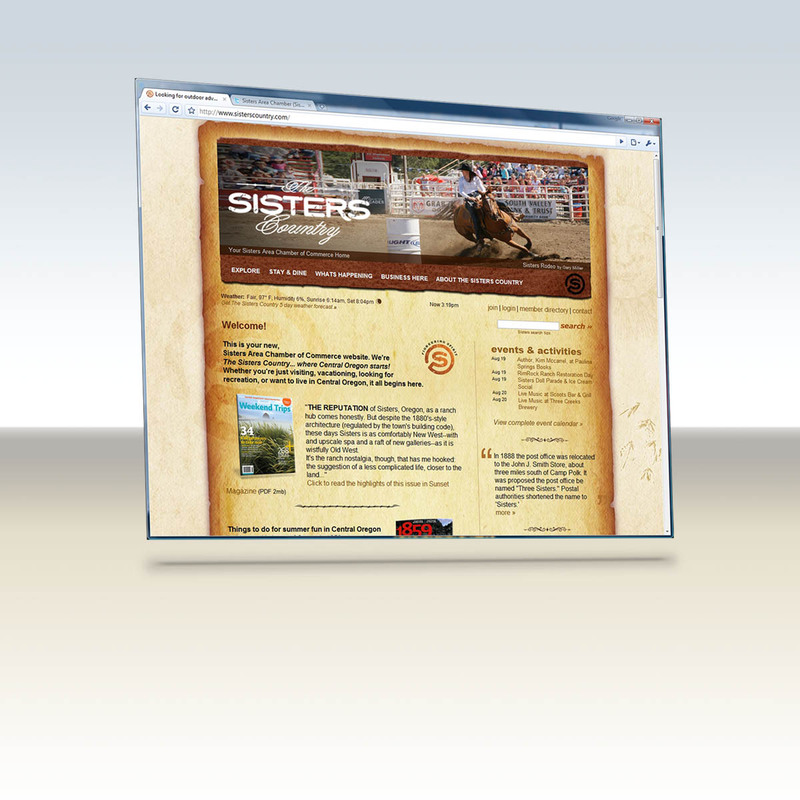 Recently we were asked to overhaul the Sisters Area Chamber of Commerce website — a decent looking website with a lot of Flash, and only launched the year prior. However The chamber and the community were finding it difficult to navigate, hard for the staff to update, wasn’t being found at Google, and wasn’t engaging the community. The solution was implementing our mioVOX™ enterprise content management (ECM) system. Designed to assist Chamber organizations in managing their operations, create member value, automate their website delivery, all while simplifying staff workflow. We further customized their website to dynamically include other community calendars into their own. We tailored reports, and enhanced our Smart Search for their community. Perhaps most importantly, we drafted our straight-forward approach in a new layout, new graphics, paramount content focus, and simple site navigation. The result was a site launched in five weeks, to amazing reviews. mioVOX’s inherently Search Engine Optimized structure yielded quick Google results. Web traffic went from 2,200 visits/month pre-launch, to 11,700 (and holding) post-launch, within a span of 8 weeks. During that time, Sienna Creative assisted and established 57 key search phrases they wanted to own in Google. After optimizing, forty-seven of those are now first page ranked. Of those, 16 are ranked number one. Of those 16, 7 have resulted in multiple pages ranking in the top 10 (meaning they dominate the first page of Google). Significant visits are not only coming in locally, but from all 50 states. Website visits, page views, and view time have sky-rocketed. Their Alexa rating has gone from a ranking in the top 3 million, to one being in the top 500,000 in the US (and still climbing). Most importantly, they are now delivering meaningful results to their area Members, through significant nationwide exposure, while generating new value-added services and revenue for the Chamber and their Members. They’re even more excited that they can do all of this in-house with part-time staff.